This Award Winning toy was designed for 4yr+. It is super fun to draw brightly colored designs with laces, undo them quickly then start all over again! Special board holds the laces firmly in place with the push of a pen into self-locking slots. 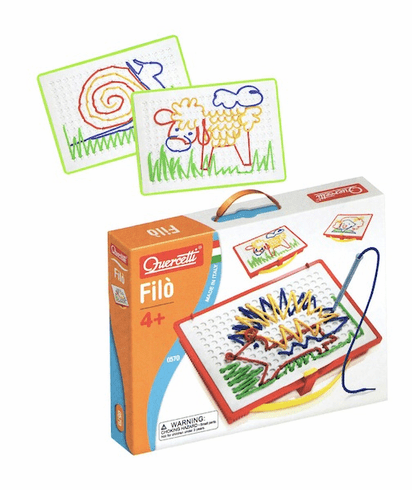 Helps to develop manual dexterity, hand-eye coordination and creative thinking.